Personalised Jake and the Neverland Pirates babygrow, vest and tshirt. 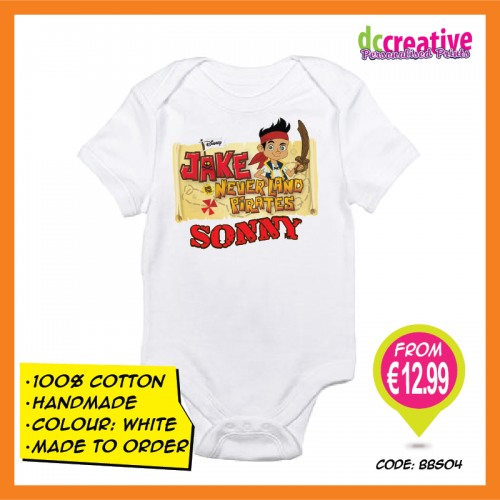 Fun personalised baby clothes with your favourite cartoon character! We use the latest equipment, technology and the highest quality Flock, Flex vinyl and transfer material to produce these items, the result of which is a crisp and vibrant transfer that is durable and will look great for a long time!